How many gifts will you receive this year that end up in your garage? That hideous vase from a well meaning aunt. Perhaps it will be DVD of a movie you have already seen. Or it might be a book that you will never read. Often the best gifts are the ones we choose and pay for ourselves- although this is often regarded by others as a self indulgence. However such a gift to yourself doesn’t have to be expensive and who better to understand the value of such a gift than you? So in the spirit of the season I wanted to think of something that subscribers would value that I might give away, and I thought of my best selling book, The Five Pillars of Guaranteed Business Success. I am sure that if I gave this book away, I would have a massive response, but how many would read it? My experience is that when you receive a book for nothing you don’t value it and won’t read it. How many free ebooks have you downloaded to your computer’s hard drive that you have never read? 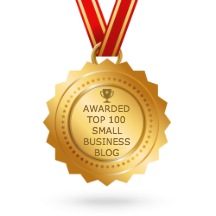 Instead I am offering Australian Small Business Blog readers my book at a 50% discount, just until Christmas Eve. I am doing this, rather than giving the book away because I want you to read it! So my gift to you is a book that you will read. When you visit The Five Pillars of Guaranteed Business Success website, enter the promo-code “XmasGift” on the Order Form (and update) to receive the discount – only available until December 24th. The '5 Pillars of Guaranteed Business Success' is a must read for all business Owners. It elaborates on the key aspects of building and developing a solid business. Business failure is often attributed to the lack of the following: planning, strategy and effective implementation. The book is entertaining, full of practical advice and strategies Owners can use immediately. Some of the largest business failures are a result of Owners "Not knowing what they don't know"
'5 Pillars' helps Owners to learn business strategy, to plan accordingly and to implement their plan. '5 Pillars' will assist existing Owners to further develop and improve their planning and systems. More importantly it will assist new Owners with start ups from making grave and disatrous financial decisions. The '5 Pillars to Guaranteed Business Success' is a must read. For established Owners it outlines advice and strategies to grow the business. New Owners with start-ups face risks that can prove financially disastrous. '5 Pillars' will help new Owners to "Know what they don't know" and to mitigate risks that may lead to failure. '5 Pillars' is a well written, easy to read and entertaining book. Owners are in the business of selling and the section and advice on Marketing contains great practical advice. I read this book and found it very helpful. I myself run business in Australia and only started out a few years ago. With this book i gained enough knowledge to build up my business and now staff 23 people. I also found online advertising a big hit and most my advertising is done via the internet. My biggest mistake was trying to get good internet presence without seeking professional help but after alot of time and waste money i found http://www.businessdirectory.com.au a good advertising medium. They created me a website and got me on the front page of google for my keyword searches. So all you small businesses out there i suggest you read this book to build your knowledge and seek professional advice on internet marketing strategies and its all easy street from there. http://www.businessdirectory.com.au worked for me i highly recommend them.